University of Illinois historian Bruce Levine has written extensively about the Civil War and its consequences. The American Civil War came to an end 150 years ago with the Confederate surrender at Appomattox Court House, Virginia, on April 9, 1865. Five days later, President Abraham Lincoln was assassinated. What role did slavery play in the Confederate defeat? And how might history have been different if Lincoln had lived? 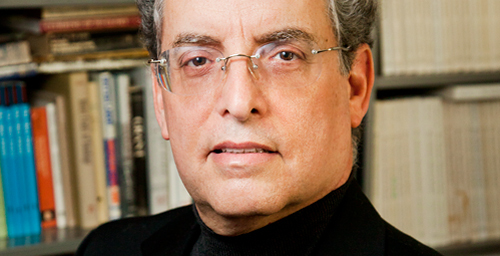 University of Illinois historian Bruce Levine (pronounced La-VEEN) has written extensively about the war and its consequences. His 2013 book, "The Fall of the House of Dixie," traced how fighting the war transformed the South from within. He spoke with News Bureau social sciences editor Craig Chamberlain. How central was slavery to the Confederate cause? And to its defeat? Most, if not all, of the leaders of the secession movement and then of the Confederacy dedicated themselves first and foremost to the preservation of slavery. They then counted upon slaves' labor to keep their society running and their armies functioning during the war. But slavery also proved to be the Confederacy's Achilles' heel. Slaves welcomed advancing Union armies, provided them with intelligence and material support, escaped from their owners and - by the tens of thousands - later joined Union armies as soldiers. Those black soldiers played a crucial role in achieving the Union's victory, as Abraham Lincoln acknowledged. In a previous book, "Confederate Emancipation," you wrote about plans in the South to free and arm slaves near the end of the war. How far did those plans go and how many slaves actually fought for the Confederacy? At the 11th hour, in the spring of 1865, the Confederate government tried to do what it had steadfastly refused on principle to do throughout the war - bring African-Americans, whether slave or free, into Confederate armies as soldiers. Boosters of this plan predicted the enrollment of tens and even hundreds of thousands of black Confederate soldiers. But because both slaveholders and slaves resisted this plan, it came to very, very little. My best estimate is that fewer - and very likely far fewer - than 100 African-Americans became Confederate soldiers. They served only during the last month or so of the war, and they saw next to no action. Compare that paltry record with 180,000-200,000 black men who served in the Union army and navy during the war. You note that there are many misconceptions and myths about what caused the war and why it was fought. Are there similar misconceptions and myths about how the war ended and what it accomplished? Yes. One of those myths holds that the end of the war and the eventual end of slavery finally put an end to white supremacy and racial discrimination. In fact, the South's white leadership remained deeply committed to both and fought viciously to retain them long after slavery as such was outlawed. Another myth puts the blame for postwar racial conflict in the South on the Republicans, who during Reconstruction supposedly set out to persecute southern whites out of vengeance or venality. That Reconstruction plan, so goes this myth, provoked a justifiedly outraged response. But the truth is that congressional Republicans intervened in southern politics and postwar race relations only after the South's white state governments began gutting the freedoms that black people had just obtained there. White-supremacist groups like the Ku Klux Klan then launched a terrorist campaign to drive most freedpeople back down into a state of semi-slavery/semi-freedom, a condition from which African-Americans emerged only as a result of the civil rights struggles of the 1950s-1970s. Historians sometimes don't like to speculate, but how do you think the post-war history might have been different if Lincoln lived? I do believe in what-if history; I think we engage in it, at least unconsciously, every time we say that such-and-such a fact or development was the essential cause of something else. In this case, I doubt that Abraham Lincoln, had he lived, would have been able to prevent postwar events from playing out substantially as they did. Lincoln was an exceptionally skillful politician, it's true. But for all his subtlety and diplomacy, he had never previously been able to charm the South's white leadership - even in the so-called loyal border states - into deviating from their pro-slavery creed. I see no reason to believe that he would have had any greater success in overcoming their postwar commitment to preserving white supremacy and black subordination without the use of force. Substantially the same struggle would most likely have occurred.